The term 'ego document' describes a set of sources which belong to the same communicative genre (letters, diaries, travel accounts, personal chronicles and other autobiographical texts). The common denominator of all these kinds of text is that their authors use them to write about their lives and for self-reflection. Ego documents have been an important source of information for several disciplines (history, literature, linguistics). However, none of the disciplines appear to have explored all types of ego documents in equal measure. Moreover, time is ripe for cross-fertilisation by engaging in a discussion of methodological approaches and joining forces in addressing research questions relevant to all disciplines from different perspectives. The symposium aims at providing such an opportunity for scholarly exchange, bringing together scholars from linguistics, literary, historical and educational studies who work on German and English ego documents in the eighteenth century. 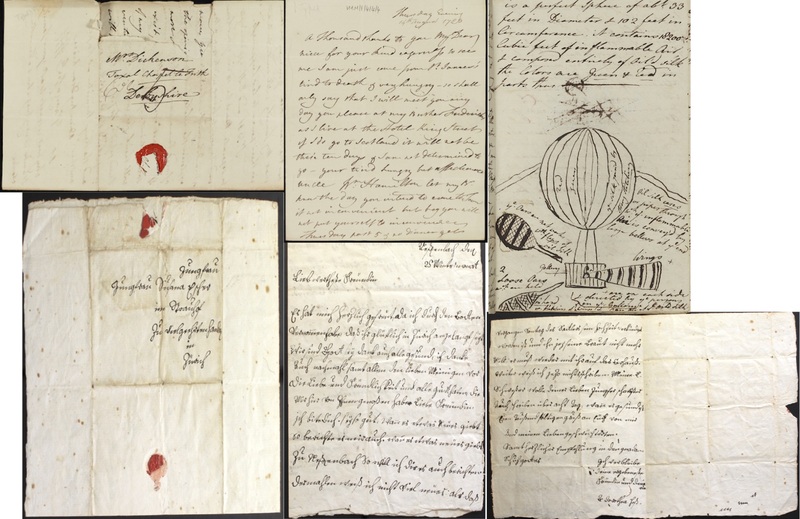 English manuscripts: Excerpt of Lady Mary Hamilton's diary; reproduced by courtesy of the University Librarian and Director, the John Rylands Library, The University of Manchester. German manuscripts: Letter written by Dorothea Hess to Susanna Escher, 1762; Facsimile, Signatur Handschriftenabteilung ZB Zürich: FA Escher vG 146.127.